My recent Everest Base Camp Trek. I wasn’t sure I should go to Nepal so soon after the earthquake. I was a little torn about it. I spoke to Ian as a friend had trekked with Ian to Everest Base Camp in 2011. Ian challenged me to raise funds and awareness for the Goli Village project and support the re-building of the village. This was the motivation I needed. I ended up raising just over $3,000 and glad to hear the first project of the Goli Village Trust is almost complete. A school has been the first project. I hope to do more treks and continue to support these people who need our help. Why not visit the village, hike up and see Everest! 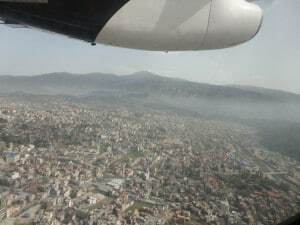 I remember that nervous feeling arriving in Kathmandu after so much distribution and devastation I saw on the news. I was really surprised how little damage there was in the city. I was met by Dawa Sherpa (amazing character) and he brought us through the less than busy streets of Kathmandu to our Hotel for the night. Due to the recent and current fuel crisis in Nepal, there was limited traffic which was nice. I met up with several members of the team and had been in touch with them on Facebook prior to the trip. We all went for dinner, drank a lot of water, relaxed and prepared for the early morning flight to Lukla. 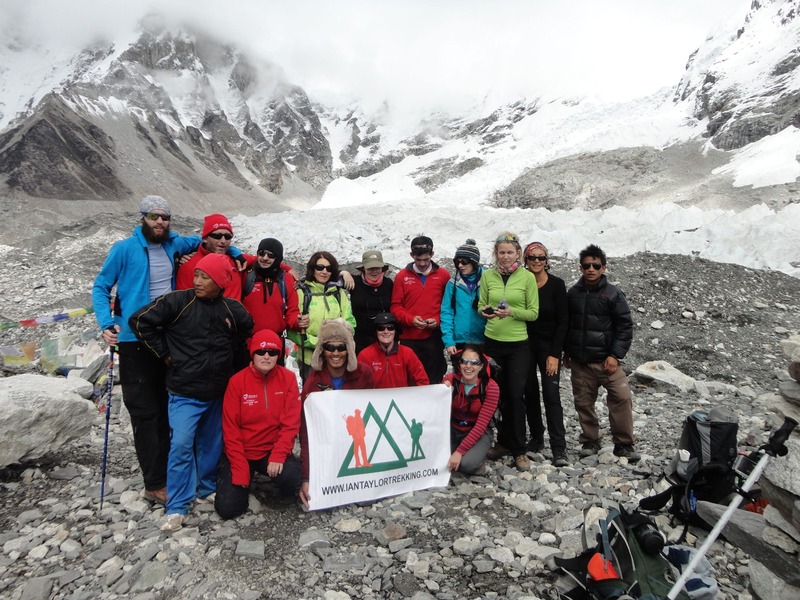 I was a little on edge but once I had met Dawa, some of the Sherpa crew and team I was excited to be joining the journey to Everest. I picked up some last minute items in the supermarket. They had everything from adaptors, sun cream to water purification tablets and so much more. I retired for the night. Nervous and excited about the road ahead. The alarm went off and off we went in the dark we all loaded up on the vehicle and made the short journey back to the airport. We had all our bags weighted so make sure you have the 10kg in the duffle bag and 5kg in you day pack. Ian had said wear all your heavy items, don’t bring water in the weighted baggage. You can get creative and hold on to some of your heavier items as they weigh your day pack. A couple of people were over and it was a minimal charge for excess baggage. The flight with Goma air was nice. We had a new plane and the ride was a smooth one into Lukla. Once I got to the lodge for breakfast in Lukla I changed back into my trekking gear for the day. We were in Lukla at 8am, had breakfast and we were underway by 9am. We hiked mostly down hill to Phakding where we had lunch and then continued on to Monjo for the night. It was a tiring walk as we were all missing sleep but reminded we had 3 nights in Namche Bazaar to relax, acclimatize and recover for the long journey. The 3 night in Namche were a gift. Some of the guys spent a lot of time in Cafe Danfe playing pool, others read, slept and wondered the streets of Namche and I did a little bit of everything. I loved Namche. 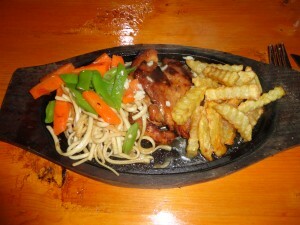 The Himalayan lodge was great, lasagna, chicken sizzlers, great soups, showers, wifi and wondering staff and atmosphere. After Namche we stayed at Taski Dalek in Tengbouche and another nice lodge and great views of Everest and surrounding mountains. You have to remember there are no roads for 80 miles. I was so impressed with the lodges. I expected worse. The pace of each hike was perfect, super slow, super relaxed and helped us acclimatize and feel good about each days walk. It was a really great experience. We were all feeling well and constantly checked on and pushed to keep drinking water. The next few days were great, nice walks trails above the river and amazing views of Ama Dablam, Lhotse, Island peak and other amazing 20,000 ft peaks all around. I was really enjoying the whole experience. My oxygen and heart rates were good and looked like I was adapting well to the lack of oxygen. I did a lot of relaxing in Dingbouche and read, eat at the bakery and generally just tried to stay hydrated and enjoy my time in these amazing mountains. The hike up to Lobuche is a great one. I really enjoyed this hike, the weather was getting colder but the air was crisp and clear. The mountains were showing their best and the pace was perfect. With out much effort we were in Thukla eating lunch and 3 hours later we were in Lobuche. I did notice the lack of oxygen more in Lobuche but kept hydrated and was able to sleep well. The hike to Gorak shep was on easy trails but the glacial moraine up to base camp was challenging and you need to really manage your steps and breathing. I followed our lead Sherpa Kami. His pace was perfect and after 7 hours we walked into Everest Base Camp. Although you can not see the summit of Everest from here. The ice fall, nuptse, glacier and all surrounding mountains are out of this world. It was an amazing experience feeling and enjoyed the moment with my new friends. The journey back to Gorak shep took about 2 hours and we took it nice and slow. We had dinner and all went to bed early as we were up at 4am for the 3 hour hike up Kala Phattar. What a view, what a scene. It was definitely the best mountain scene I had ever seen. What an exciting well run trek. We all made it up Kala Phattar for this great view across Nepal. 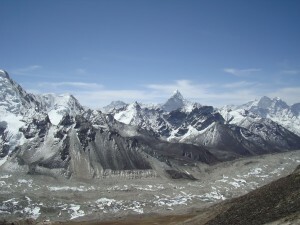 You can see Everest, Lhotse, Nuptse and Ama Dablam in this picture. The Khumbu glacier was a spectacle in itself. I was tired walking back to Pheriche and slept hard that night. The following two days were long hikes. We were heading back to lower altitude passing Pangbouche, Tengbouche, and the wonderful trail back to Namche Bazaar. 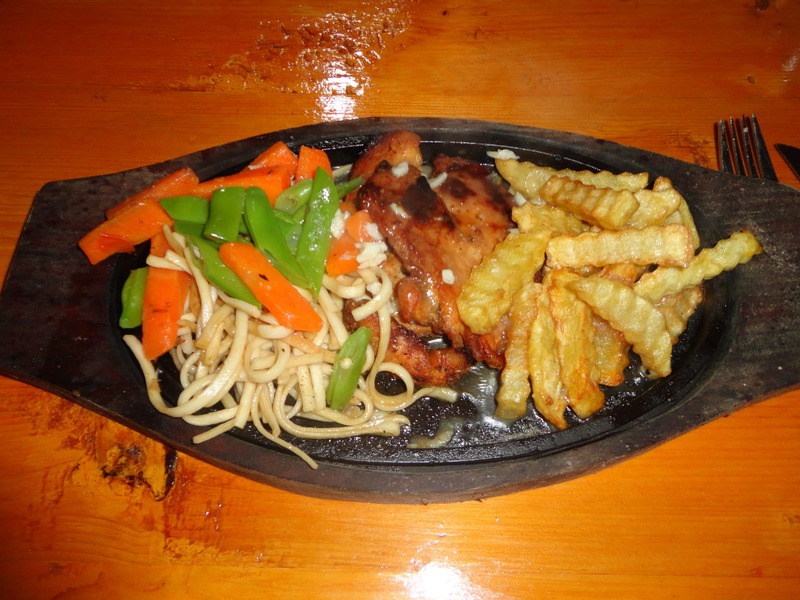 I felt great getting back into Namche and we all went out in Cafe Danfe that night and celebrated. I had a great trek with great people. Ian’s calls, dossier, staff on the ground and his experience were priceless. I want to thank you for all the e-mails support and motivation. By the end of the journey. I had forgotten about the earthquake and glad I was able to help the Sherpa people of Goli. I look forward to my return to Nepal very soon. 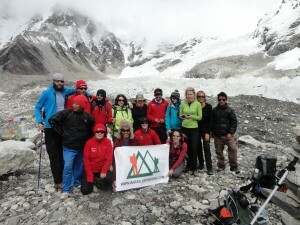 My recent Everest Base Camp Trek was top notch! !